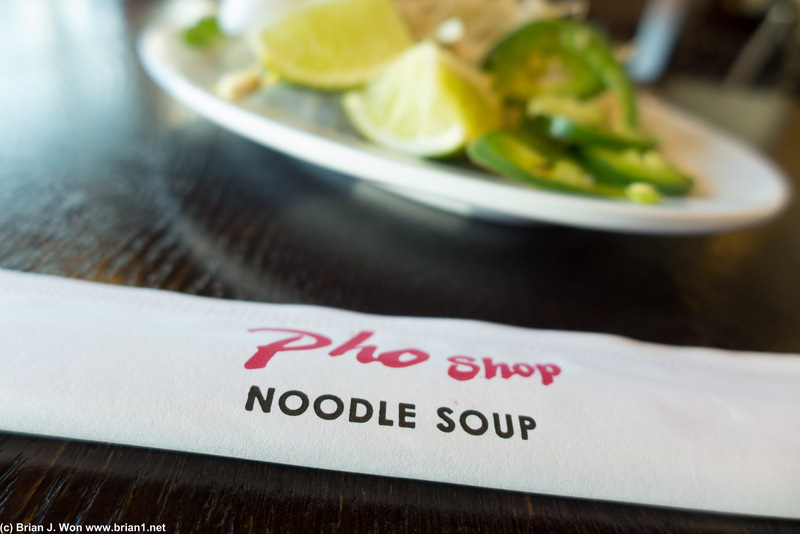 It really is called Pho Shop. Veggie portion was a little small, but quality was at least (barely) acceptable. Pretty good amount of seating inside. 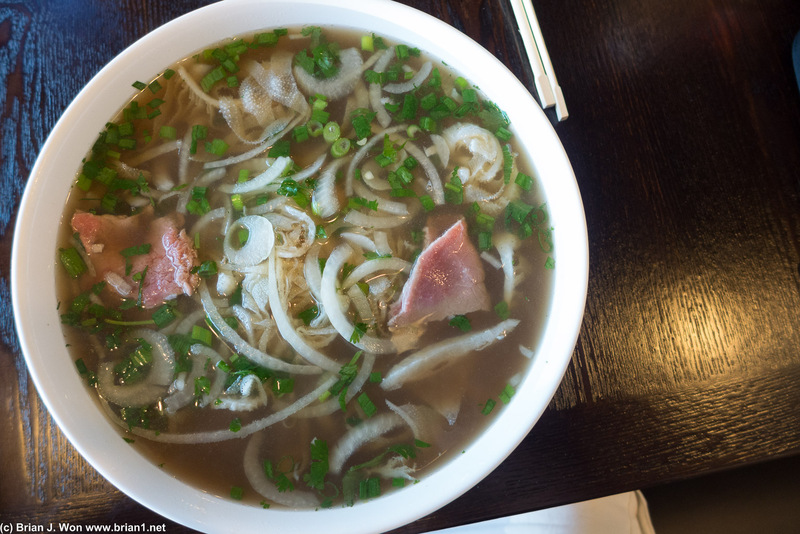 Same old so-so pho as before, tho. 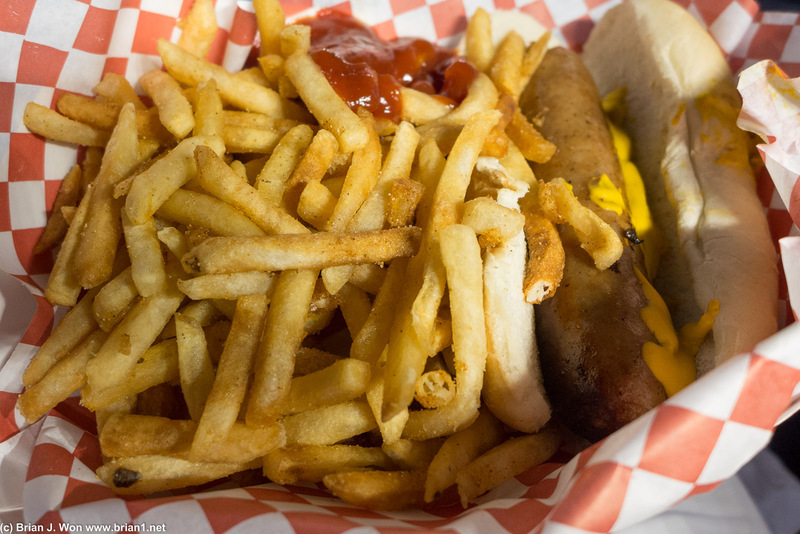 Brat isn&apos;t as good as the tri-tip. Oh well. Fries were solid tho. 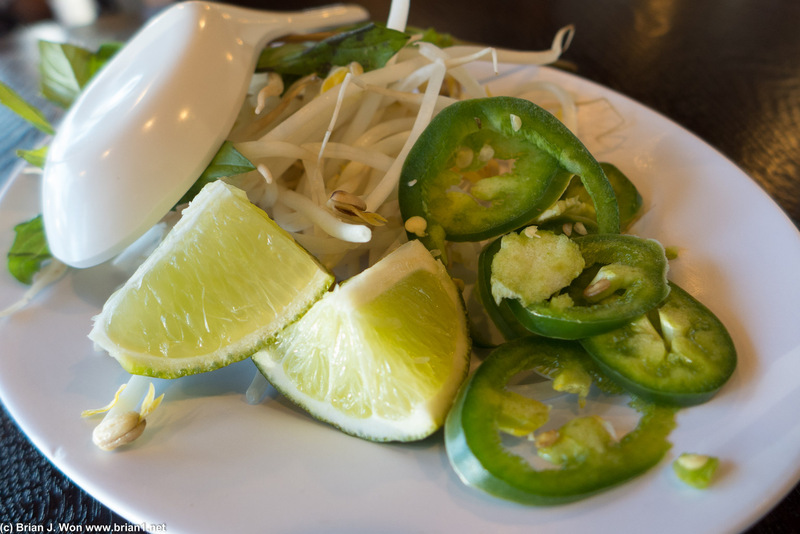 The local Pho Citi location appears to have defranchised, and become just "Pho Shop." 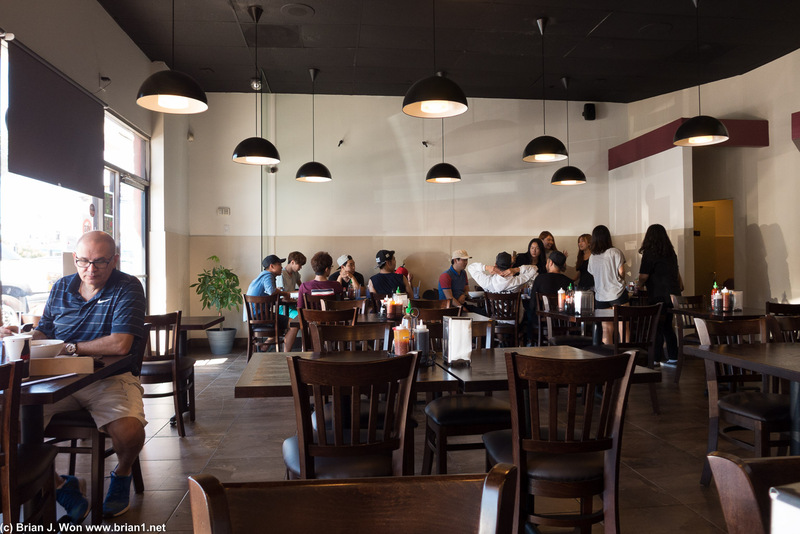 Exact same mediocre pho as before, but with higher prices and more seats, now that they've (slightly) redecorated. Yay? 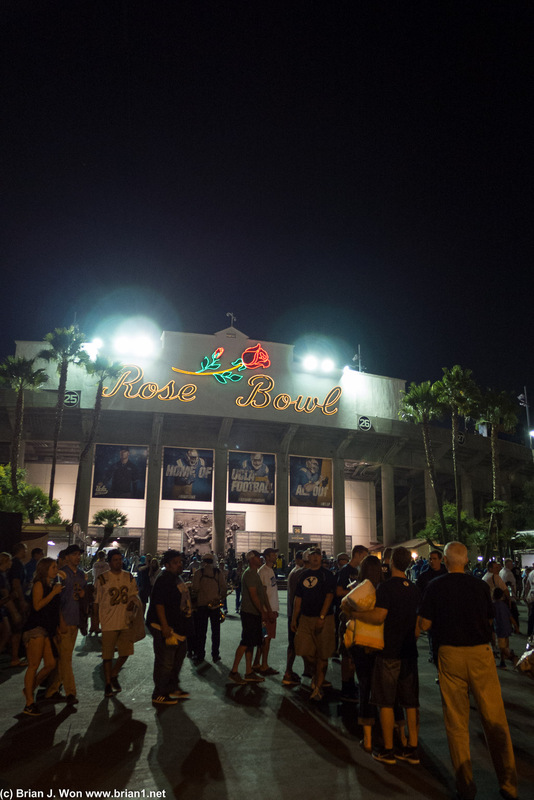 Then off to the Rose Bowl to see UCLA vs. BYU. 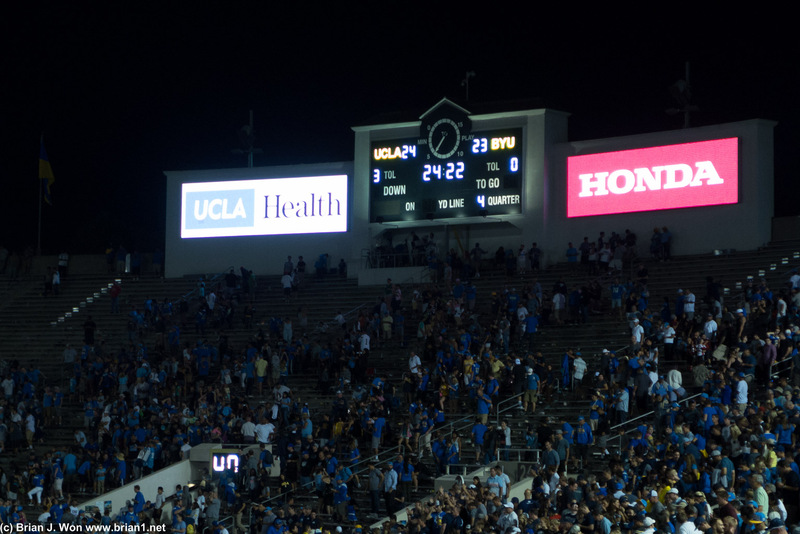 Great game, far closer than it should've been due to some bad officiating (and some very good officiating), plus some terrible mistakes by UCLA's freshman quarterback, Josh Rosen. Have to keep in mind he's a true freshman, he's going to have rough games! That said, UCLA's offensive line, defensive line (despite being dinged up and full of backups! 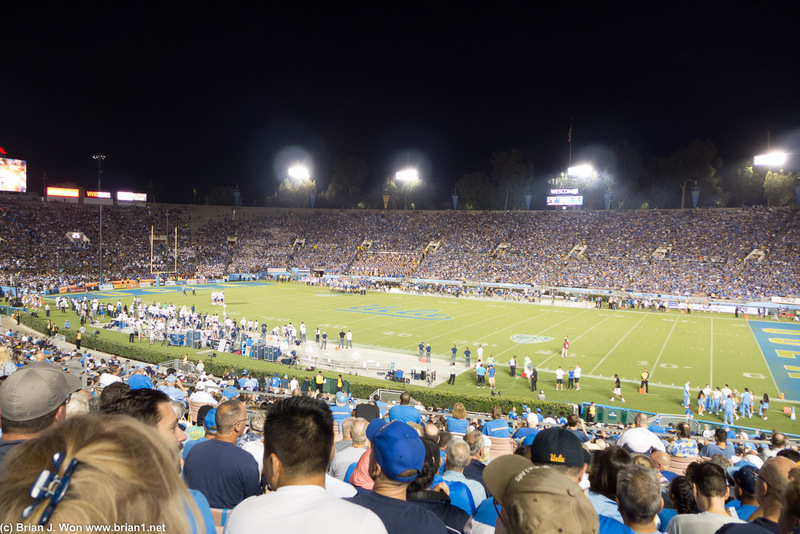 ), and running backs all balled out, and UCLA won, 24-23. Go Bruins!